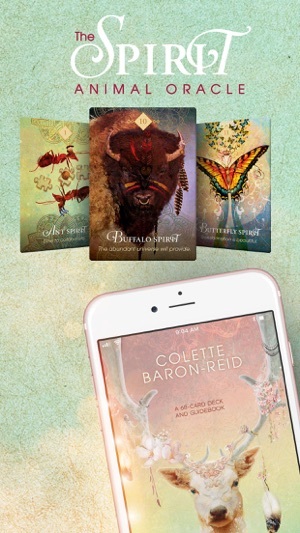 Get a 7-day FREE Trial to Colette Baron-Reid's The Spirit Animal Oracle! 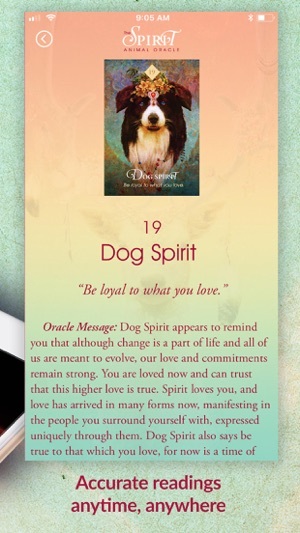 "The spirits residing in the natural world have much to share, and the secrets of their forgotten language are now available to you through The Spirit Animal Oracle. They urge us to reclaim our essential Truth—that we are one in Spirit, connected to every living thing on this earth in a unified consciousness. With the draw of a card, you can share in this wisdom and better navigate your life, move beyond the obstacles of your perceived limitations, and tune in to your infinite potential. Represented in the 68 cards of this beautifully illustrated oracle card deck are the Higher Spirits of different animals, insects, fish, and birds. 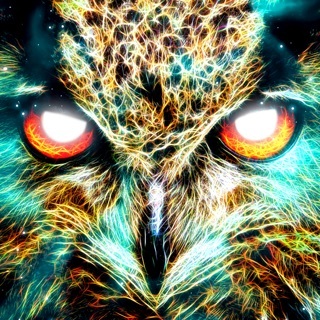 Every animal has a transcendent archetypal symbolism, a universal meaning holding a message of deep, enduring truth. With guidance from intuitive master and oracle expert Colette Baron-Reid, you can now awaken to your partnership with Spirit to co-create your reality in service to the world." Colette Baron-Reid is an internationally respected spiritual intuitive, psychic medium, educator, and oracle expert. Her best-selling books and oracle cards are published worldwide in 27 languages. She is the founder of Oracle School, a global online learning platform with students in 26 countries, where self-empowerment, co-creation, and ancient oracles meet in a modern contemporary way. Colette is also the creator of the energy psychology technique the Invision Process®. She spends her time between Canada and the USA with her husband and two Pomeranians. Colette is the author of Remembering the Future, Messages from Spirit, The Map, Uncharted, and the best-selling oracle decks and apps The Wisdom of Avalon, Wisdom of the Hidden Realms, The Enchanted Map Oracle, Wisdom of the Oracle, Postcards from Spirit, and more. A minor change to update sdk. First off I’m very excited about these beautiful cards. 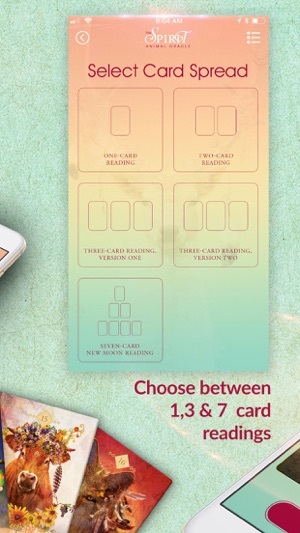 The art work is gorgeous and the card descriptions are very clear and concise like having all the support you need to move forward with whatever you’re inquiring about. I’m looking forward to having the physical deck when it’s released. 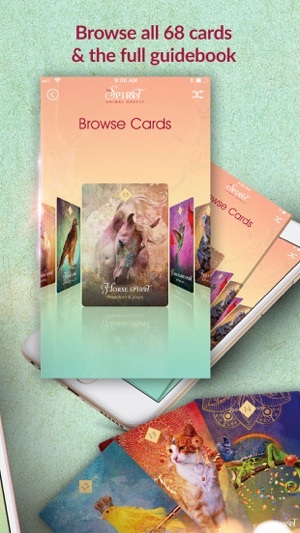 The app is a great substitute, works well, is very easy to navigate through and the energy behind each card comes through very clearly. My only disappointment is that I can’t delete a reading once it’s saved. At least I can’t figure out how to and there’s no instructions on doing so. Not a huge deal but definitely something to consider. Otherwise this is a great app from what I know will be my new favorite Oracle to connect with. Hi TeaPriestess, Thank you for sharing with us. The app does not have the capability to delete the readings yet. We have it noted and our working on it for future development. We appreciate your feedback and hope you continue to enjoy the app! Hello ko325071, We are very happy to hear how much you are enjoying the app! Thanks for sharing with us. This electronic version is beautiful and I’m sure the physical deck is as well. I love all the detail and symbolism in the cards. Tiny nuances of clues open for inspiration. I love symbolism and while I appreciate the written meanings and find them very helpful, the little details remind me of dreams. In dreams we notice things that give meaning, not just a bigger picture. I don’t journal every dream, just the ones I’m compelled to record. I also find that nature is very telling of our lives, if we let her. This oracle has the energy bridge that resonates with me. 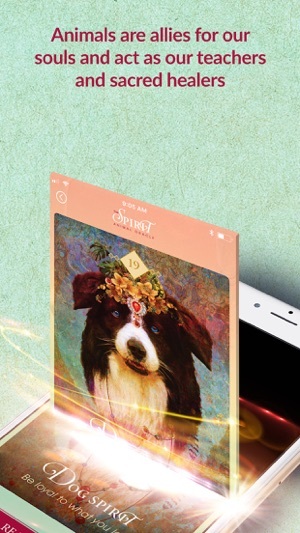 Hi Kissamew, We love hearing that this app resonates so well with you. Thanks for sharing that with us and we hope you continue to enjoy using it!